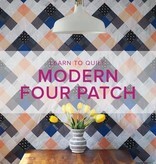 Make the Seeing Double Quilt, a modern four patch quilt! This quilt is the perfect size for a baby quilt, wall hanging, or little lap quilt. 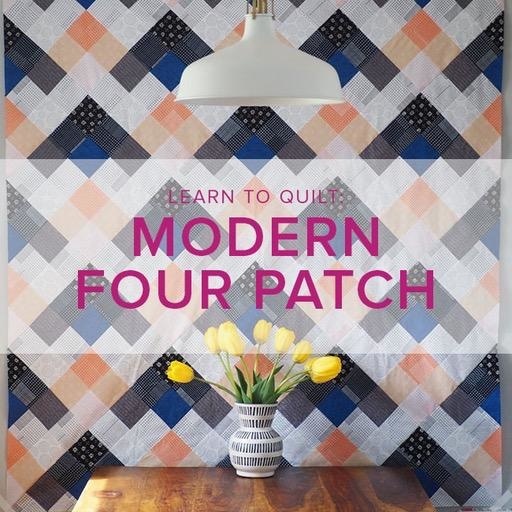 You will learn techniques fundamental to quilt making, including rotary cutting, piecing, pressing, trimming blocks, making a quilt sandwich, quilting with a walking foot, and finishing the quilt with binding. Leave with the confidence and excitement to start your next quilt immediately! There will be homework between sessions and you are welcome to use our classroom space as it is available to work on your projects. • Quilt Top: Eight (8) 1/4 yard cuts of fabric, One (1) 1/2 yard cut *Color group information on pattern.